Schools in Portugal, Sweden and the Netherlands include, at the beginning and at the end of the school day, a few minutes practice of a simple scientifically documented psycho‐physiological technique. 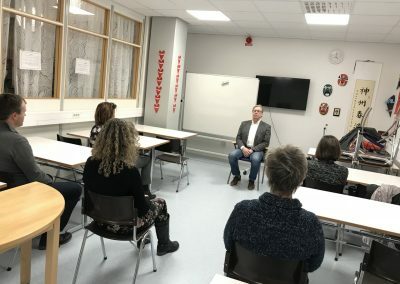 This technique is called Transcendental Meditation (TM) and comes to the schools through the EUROPE Project. 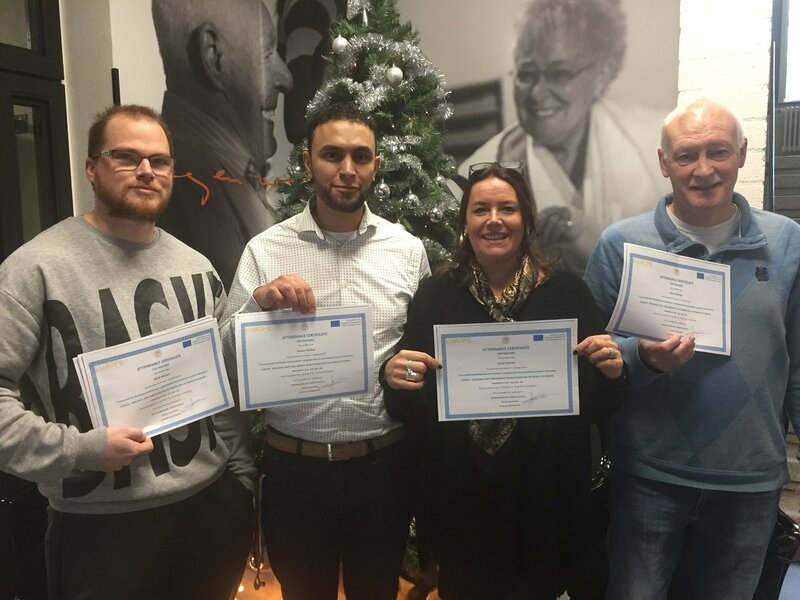 The EUROPE Project – Ensuring Unity and Respect as Outcomes for the People of Europe – aims to foster social inclusion, tolerance and other factors that prevent violence in schools and seeks to establish the effectiveness of the Quiet Time/Transcendental Meditation Programme (QT/TMP) in different European countries . In this context, schools in Portugal, Sweden and the Netherlands have been implementing QT/TMP. This innovative approach, the Quiet Time/Transcendental Meditation Programme, is a whole school approach involving the Principal, Management Team, teachers and staff, parents and students. Students who volunteer and whose parents approve, practice the TM technique during the Quiet Time period while other students engage in a parallel non‐academic activity, such as quiet reading or rest. 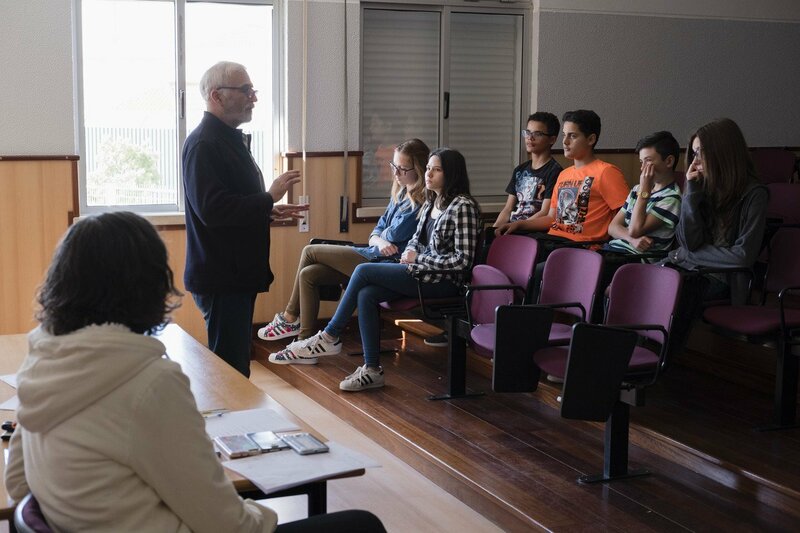 In Portugal in the main implementing school, activities started in January 2017 with presentations to staff and students about the EUROPE project, meeting with parents to present this implementation, and surveys of students interested to learn this innovative approach. This was followed by the training for teachers on QT/TMP, implemented in collaboration with the Teacher Training Center Ria Formosa, a public institution and a partner in the project. Two‐hour courses for school teachers to monitor TM in the classroom have been also organized. At the moment more than 55 school teachers have learnt TM in the school (more then 50% of the teachers of the school). Thanks to this great engagement of teachers, there are a total of 202 students (age 10 to 16) in 17 classes already practicing QT/TMP, and in some classes all or almost all of the students are practicing TM during the Quiet Time sessions, even when the training in TM is voluntary. This shows great appreciation of the QT/TMP the students in general, and disadvantaged students in particular, and also of the Principals, teachers and staff of the school. At the request of the Principal and Education authorities, the implementation target has also been extended to the primary school, where 121 children (age 5 to 9 years) have learned the TM Childrens’ technique. In Portugal the project is ahead of schedule including disseminating and expanding the results at national level, with the involvement in national events promoted by the Directorate General of Education of the National Ministry of Portugal, and the involvement of local, regional and national education authorities in the project. This has the potential to influence national policies in the field of education and inclusion. 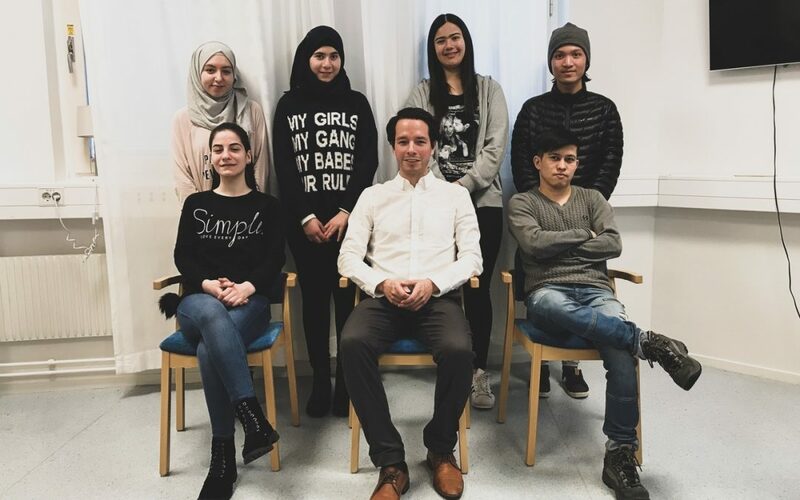 In Sweden and Netherlands the strategy has been to contact in different parts of the two countries, schools with a greater proportion of disadvantaged, ethnic minority and migrant background students; many of the schools have problems of violence and bullying and a very low level of academic results. Also in both countries, innovative schools have been contacted as they, being more open to new approaches, could open the way for other schools to join the project. 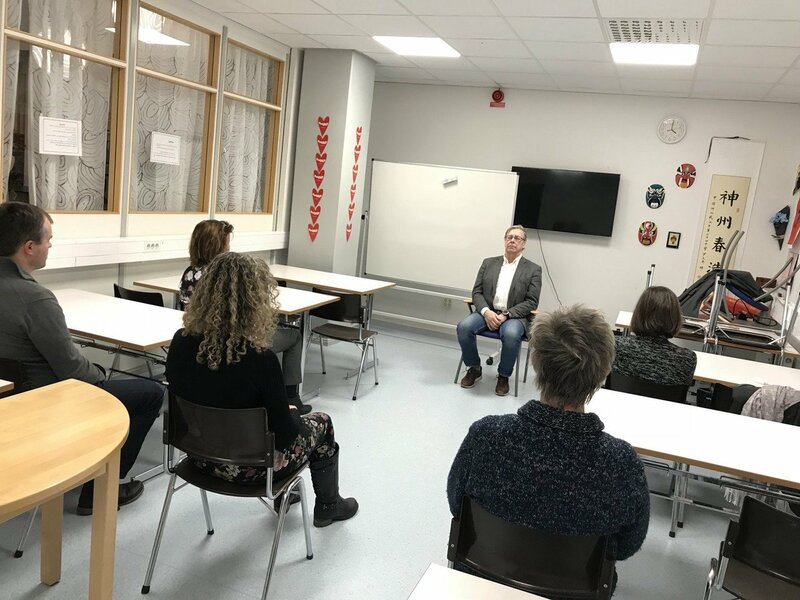 In Sweden the implementation of QT/TMP started in two Montessori schools that have completed the staff training in Transcendental Meditation. The schools have started student training involving currently about 70 students aged from 10 to end of secondary school. Also here, as in Portugal, at the request of the schools, the training has been extended to the primary school and at the moment about 22 younger children (aged 5-9 years) are participating in the programme. The training has been also offered to parents, and about 20 have already learned about the QT/ TMP and the benefits it brings. Almost right after the starting of the implementation in 2017 in the 2 Montessori schools two more disadvantaged schools joined the EUROPE project: a welcoming school for recently arrived migrants in Borlänge; and a school in Malmo (which is very difficult in terms of violence and academic performances and with 75% of students that are ethnic minority including recently arrived migrants). Both these schools have already started the first steps of implementation involving the Principals and 22 teachers and already about 50 students have been trained in both schools that plan to implement the program fully in the course of this year. In the Netherlands the project is being implemented in five schools including the training of Principals and teachers, and they are very enthusiastic about the project. Each of these schools is at a different stage of the implementation. Presentations and training to Principals and teachers has been done in schools in Amsterdam, Rotterdam, Utrecht, Heerlen, Roermond, Amstelveen. All students and teachers participating in the EUROPE project have been pre‐tested, and the University of Utrecht (Lead Partner in the evaluation of the project) is following the activities in Sweden and the Netherlands, in coordination with the University of Algarve that is following the activities and impact in Portugal.